We've just received news that our proposals for the renovation of a tired modernist building in Highgate have been approved by Camden Council. 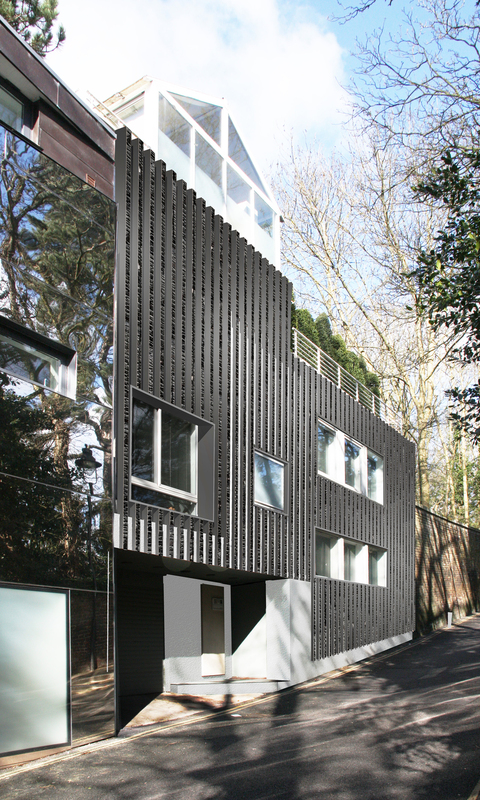 The building on Swain's Lane sits next to Dominic McKenzie's mirror clad building and the Manser Medal nominated Glass House by Eldridge Smerin. Our proposal is to over-clad the existing brick facade with a series of vertical charred timber fins, referencing the cemetery and woodland nature of the site. We're looking forward to this one starting on site and hope for it to be completed before the end of the year.